This weekend, a set of two Yubari melons fetched a record-breaking 3.2 million yen ($29,000) at auction in Hokkaido, Japan. 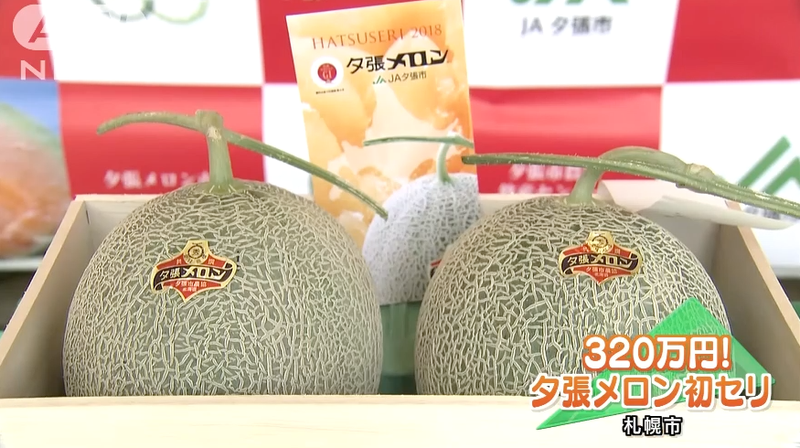 According to Mainichi News, these melons went for more than the previous record-holding pair, which sold for 3 million yen in 2016. “I wanted to make a record-setting bid by all means,” said winning bidder Shinya Noda, a vegetable packaging company president. Mainichi reports that the luxury fruit will be on display until the month’s end. After that, the melons will be sliced up and given to Noda’s customers, free of charge. Late spring is when people in Japan begin buying natsu no gifuto (summer gift) for customers and clients. Typical summer gifts include beer, cookies and expensive fruit, the last of which might reach as high as a couple hundred bucks for mangos and cherries. The Hokkaido melon auction is at the ultra-premium end of the scale, with the purchase not only reflecting the excellent fruit quality, but also the health of the Japanese economy.